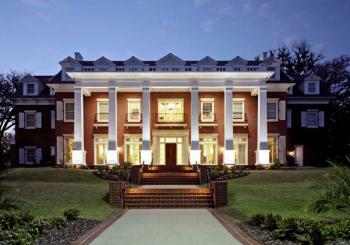 Kappa Sigma - ΚΣ Fraternity at University of Virginia - UVA 3.5 Head Feb 19, 2019 6:53:10 PM Great house here, but their antics have somewhat damaged their reputation by making them seem a little too southern. Great house here, but their antics have somewhat damaged their reputation by making them seem a little too southern. Kappa Sigma - ΚΣ Fraternity at University of Virginia - UVA 2.4 Lily of the valley Apr 24, 2018 1:11:59 PM Are they really as racist as everybody says? Also their house is disgusting like they need to clean it and be nicer people. Are they really as racist as everybody says? Also their house is disgusting like they need to clean it and be nicer people. Kappa Sigma - ΚΣ Fraternity at University of Virginia - UVA 4.2 Wolfpack Sep 14, 2017 10:55:55 PM Tight brotherhood and good parties. Don't get the same vibe some of these other people are getting. Super cute guys. Tight brotherhood and good parties. Don't get the same vibe some of these other people are getting. Super cute guys. Kappa Sigma - ΚΣ Fraternity at University of Virginia - UVA 1.0 123 Aug 1, 2017 1:07:17 PM A friend of mine who happens to be a kappa sigma was trying to start a chapter on a campus nearby, he contacted theses guys about helping him out but they were rude and disrespectful when they found out that he's black. My friend was so discourage from this he ended up resigning. A friend of mine who happens to be a kappa sigma was trying to start a chapter on a campus nearby, he contacted theses guys about helping him out but they were rude and disrespectful when they found out that he's black. My friend was so discourage from this he ended up resigning.